The fishing this week in Fort Myers and Estero Bay has been steady, good incoming tides in the mornings have been the most productive with the bite slowing down in the afternoons. I searched high and low in my normal Tarpon fishing spots to no avail. We did however hook up on some really nice shark while trying for them. These are not a fish i target as a guide but when you don’t see any Tarpon around they will keep clients busy and smiles on their faces. Some of the fish have been in the five to six foot range and can really test an anglers determination and skill. I use the same set up as i would for Tarpon, 8 foot heavy action rods with 8000 size reels, 80lb fluorocarbon leader and a 7/0 circle hook. Be sure to use circle hooks if you want to land the accidental shark by-catch. Bait can be found for the dedicated guides who are willing to make long forty mile round trip runs to get it. I personally focused on finding thread fin herrings knowing i would be Tarpon/Shark fishing. 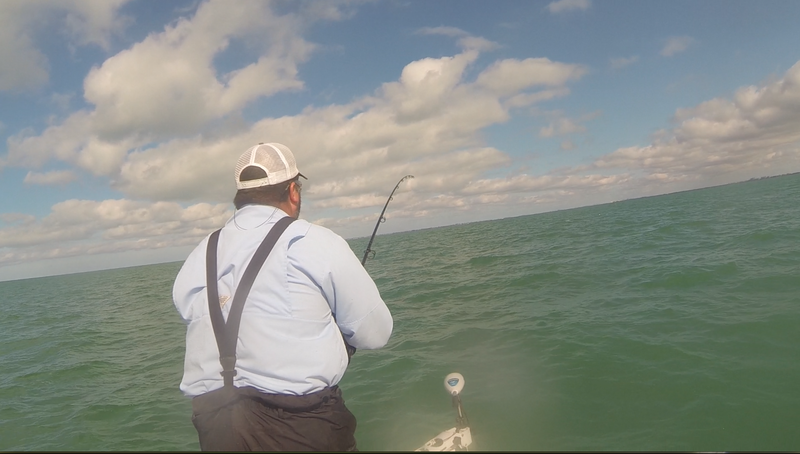 The upcoming week should be good also and if the wind lays down the Tarpon will show again.